There are more than 1200 varieties of watermelons in the world. Not only is watermelon a sweet delicious treat to eat, it can be transformed into amazingly creative things! Using the items listed above, think about what you want your watermelon to look like and carve it into that design. If you need some inspiration, check out these carvings or these amazing works of arts. Another group of beautiful carvings can be found here. 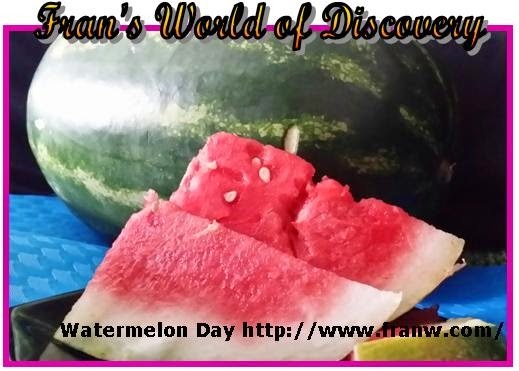 How can National Watermelon Day (August 3rd US/ August 4th UK) celebrated? What states do watermelons grow in? What state grows the most? What countries grow watermelons and who grows the most? While not an official holiday, National Watermelon Day is celebrated on August 3, in the United States and August 4th in the UK. Celebrate the day by doing watermelon related activities. Watermelon.org: National Watermelon Board – Nutrition information about watermelons, recipes and fun facts. Be sure to check out the kids section as well. Plant Answers: Watermelons – Article about the history of watermelon, how it can be served, how it is enjoyed in other countries and nutrition information. Wikipedia: Watermelon – History of watermelon, culture, nutrition information, varieties and cultural references. Holiday Insights: National Watermelon Day! 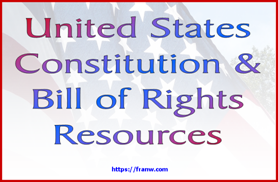 – Find out about this unofficial holiday. Watermelon recipes: Find fun and interesting ways to enjoy watermelon with the recipes on this page. Kid friendly recipes too! DumpTV: Watermelon Day Activities – Activities for Watermelon Day for all ages. Recipes and game ideas. Some recipes are adult only. Recipes: Pickled Watermelon Rinds – Find out how to prepare the white part of the watermelon to eat pickled or as a candy. Worlds Healthiest Foods: Watermelon – Nutritional facts and info about watermelon. WikiHow: How to cut a Watermelon – Video images that show how to cut a watermelon. A Kids Heart: National Watermelon Day – Printable activities, watermelon puzzles that can be played on line, watermelon story starter and clip art. Teaching Heart: Watermelon Theme Unit – Many activities are free on this site, some need to be paid for. Free items include: A recipe for watermelon play dough, math suggestions and games, and a poem, song and finger play – all watermelon related. The Virtual Vine: Wild About Watermelon Theme Unit – Watermelon facts, book suggestions, art project suggestions, songs, math activities and more. DLTK: Willy Watermelon Craft – Printable activity. Enchanted Learning: Fruit Mobile with a Watermelon – This craft suggests an apple and a strawberry and a watermelon. Kids R Crafty: Watermelon Word Play – Watermelon word game- How many words can you find in the word, “Watermelon”? First School -W- Watermelon – Links to watermelon activities: A presentation about watermelon, printables, coloring pages and more. Thank you, Jess! Unfortunately, the original video was removed. The good news is that I have found two videos that talk about growing uniquely-shaped watermelons to replace it. I hope you enjoy them! Thanks for letting me know.